When I bought my first stereo, in 1981, most preamplifiers and integrated amplifiers had phono stages because the LP was then still the primary playback format. It would be another two years before the Compact Disc was introduced to Europe and North America. When it became apparent that the CD would eventually replace the LP (1988 was the first year in which CDs outsold LPs) and turntable sales would quickly diminish, manufacturers began omitting phono stages from their preamps. Without phono functionality, these preamps were simply line-stage preamplifiers, because they accepted only line-level signals from CD players, tape decks, etc. Still, they were mostly called preamplifiers. But the LP didn’t go away, and by now the vinyl resurgence has gained such momentum that manufacturers are beginning to include phono stages again, in turn bringing back the full-featured preamps of decades past. Enter Audio Research’s GSPre preamplifier ($15,000 USD). It has not only a phono stage but also a 1/4” headphone jack, in a nod to another resurgence: headphones. The GSPre is part of ARC’s G Series, officially launched in 2014, and which also includes the GS150 power amplifier ($20,000) and the GSi75 integrated amplifier ($16,000). (A GS150 was sent to me along with the GSPre.) As you’ll read here, the GSPre reflects ARC’s past, present, and future. The G Series marked a new styling direction for Audio Research that has since continued in their newer models, such as the Reference 6 ($14,000) and LS28 ($7500) line-stage preamps, respectively released in 2015 and 2016. That change was a deliberate effort to refresh the brand’s look without losing touch with its history. 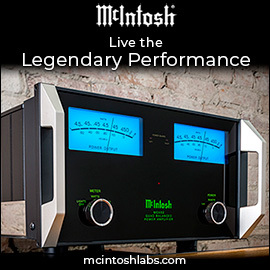 Livio Cucuzza, head of industrial design for the McIntosh Group, of which Audio Research is now part, created the new look. He examined all of the company’s models, past and present, pulling from them what he liked -- a knob here, a handle there, a cool lettering element, various curves and angles. Just as director Quentin Tarantino quotes scenes from old movies to make them look fresh in the context of his own films, Cucuzza used these elements of past ARC models to create, in the GSPre, something that reflects what Audio Research has been about while looking decidedly new. To me, the GSPre is the most attractive Audio Research preamp ever -- even a little better looking than the LS28 and Reference 6. I particularly like: the black handles behind the faceplate (the silver bottom portion of the case is considerably wider than the black cages that form the top); the use of brushed aluminum for the front panel; the contrast of black with silver on all sides; and the way the tubes are set into what Cucuzza calls a canyon -- an idea he got from ARC’s SP1 preamp, ca. 1970. The GSPre measures 19W” x 7.75”H x 17.25”D and weighs 25 pounds. Like every product Audio Research now makes, the GSPre’s circuitry includes tubes. (Audio Research started out in 1970 making only tubed gear, but for a while made solid-state equipment.) 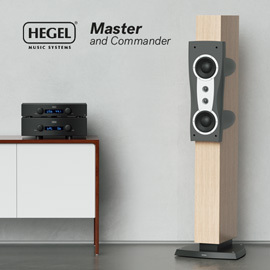 There are six 6H30P dual triodes in all: two per channel in the line-stage section, and one per channel in the phono section. ARC tests, then matches each unit’s tubes, and marks on each tube which socket (labeled V1 through V6) it should go into before packing the tubes in their own box for shipping. For those used to it, inserting these tubes will be a snap, but tube tyros need not fear -- it’s not much harder than plugging a power cord into the wall. ARC says that the tubes should last about 4000 hours -- the GSPre has a built-in hour counter to help you keep track. According to its specs, the GSPre offers 13.8dB of gain, or 4.8dB more than Simaudio’s Moon Evolution 740P ($9000), an all-solid-state line-stage preamp that I use as a reference. With that much gain, the GSPre worked well with every amp I had here. The GSPre’s headphone section provides 11.3dB of gain, which was enough for all of my headphones. Oddly, the headphone jack is on the right side panel, about 3” behind the faceplate; it’s convenient enough to reach, provided you don’t set the GSPre somewhere you can’t access that side panel. The GSPre’s phono section provides 58dB of gain, which was fine for my Benz-Micro moving-coil cartridge. But here’s the rub -- while the GSPre’s cartridge loading can be adjusted, via the supplied remote control, to 100, 200, 500, 1000, or 47k ohms (the loading selected is indicated by one of a column of five LEDs on the front panel), the gain is fixed. From the owner’s manual: “Audio Research recommends a phono cartridge within an output voltage range of 0.5mV to 2.5mV.” Many moving-magnet and low-output moving-coil cartridges probably won’t do, so make sure your cartridge is powerful enough to drive the GSPre. I suspect that the GSPre’s designers don’t permit adjustment of gain -- trickier and costlier to do with tubes than with solid-state devices -- in order to provide the highest sound quality for the price, even if that renders the GSPre incompatible with the cartridges of some potential customers. On the GSPre’s front panel are two large knobs -- the left one is marked Input Selector, the right Volume. Between them is a display screen, and above that are five pushbuttons. From left to right, these are: Power, Menu, toggles for Mono and Speakers/Headphones (when the headphone output is engaged, the line-level outputs are muted, and vice versa), and Mute. On the GSPre’s upper, slightly recessed rear panel are four pairs of single-ended inputs (RCA), including the phono input. Of the remaining three, marked SE1 through SE3, SE3 can be toggled between Processor On and Off, via the Menu button. 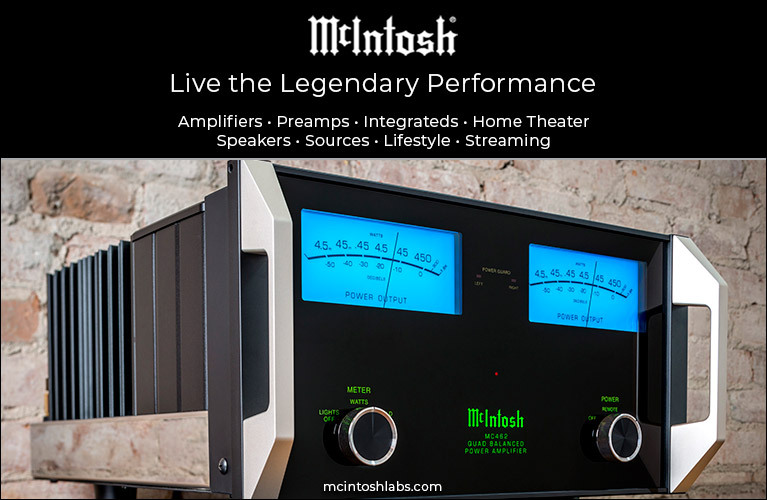 With Processor On, the line stage provides 0dB of gain and ignores volume changes, for connection to an external surround-sound processor or similar component with its own volume control. Set to Processor Off, SE3 behaves like SE1 and SE2, providing the GSPre’s normal gain. To the right of the single-ended inputs are two pairs of balanced inputs, BAL1 and BAL2 (XLR). Next are pairs of single-ended (RCA) and balanced (XLR) outputs, Main 1 and Main 2, to connect the GSPre to a power amp. (All of my amps have balanced inputs, so I used the XLRs for all of my listening.) On the lower rear panel are an RS-232 port for a custom installation system, an IR input for connection to an IR repeater, a 12V input for triggered turn-on, a fuse bay, and an IEC-compatible power-cord inlet. Besides the Processor On/Off switching, the GSPre’s Menu also offers options for checking the number of hours your tube set has logged (it can be reset to 0 when you change the tubes), and setting the GSPre to turn itself off after 1, 2, 3, 4, 5, 6, 7, or 8 hours, for safety and to prolong tube life. The GSPre’s remote control is required to load the cartridge, invert the phase, and balance the channels. All other functions can be accessed via the front panel. I primarily used two DACs with the GSPre, the Aqua-Acoustic Quality Formula ($14,000) and the EMM Labs DA2 ($25,000), plugged into the ARC’s balanced jacks. Both DACs are recent models that aspire to the state of the art of digital source components. However, my decidedly entry-level turntable is now quite old: a Systemdek 2X2 with Rega Research RB300 tonearm and Benz-Micro Silver MC cartridge ($1500 total when I bought it). But the turntable proved a great match to the GSPre, as did the DACs. Although I had ARC’s GS150 on hand, that wasn’t my primary amplifier for this review. 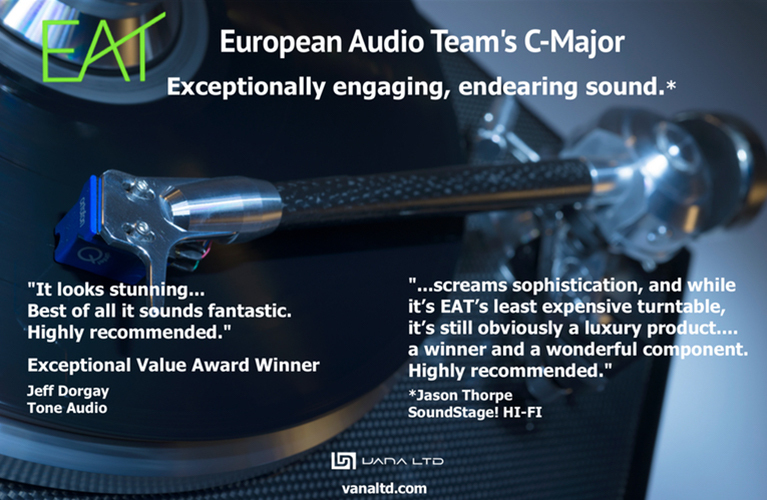 I mostly relied on Blue Circle Audio’s BC204 stereo amplifier and JE Audio’s VM60 monoblocks -- because I know their sounds extremely well, they were able to tell me more about what the GSPre was doing to the sound of my system. Plenty of speakers came and went during the GSPre’s time here, but for most of my listening I relied on KEF’s accurate, revealing Reference 3s. And into the ARC’s headphone jack I variously plugged NAD’s Viso HP50, Pryma’s 01, PSB’s M4U 2, and Sennheiser’s HD 560 headphones. Like my turntable, my headphones are good but not the state of the art. 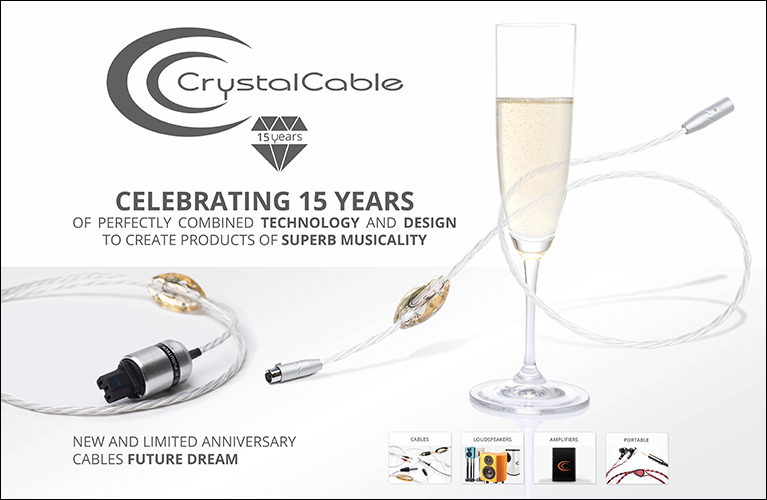 My analog interconnects were Crystal Cable CrystalConnect Standard Diamond, speaker cables were Siltech Classic Anniversary 330L, and USB links were AudioQuest’s Carbon and Diamond. All electronics were connected via Shunyata Research Venom HC power cords to Shunyata Venom PS8 power distributors equipped with Defenders, the PS8s in turn plugged into the wall with Venom HC power cords. I began my auditioning of the GSPre with my record player. The 47k ohm loading was ideal for my cartridge, and the ARC’s fixed gain proved the right amount -- the noise floor was surprisingly low, and the range within which I used the volume control seemed right where it should be. The sound was exceptionally clean, very dynamic, highly detailed, and, depending on the LP, sometimes better overall than the CD versions I’ve ripped as 16-bit/44.1kHz FLAC files and stream from my computer. Kate Bush’s Hounds of Love (LP, EMI America ST-17171), Giorgio Moroder’s score for American Gigolo (LP, Polydor PD-1-6259), Police’s Regatta de Blanc (LP, A&M SP-4792), and Tom Petty and the Heartbreakers’ You’re Gonna Get it! (LP, MCA MCA-37116) -- all sounded richer and more dynamic than their CD counterparts, with far deeper soundstages. In particular, the voices on the Petty album leapt from the mix in a much more realistic way than on the CD. Does this mean that LPs sound better than CDs? Not necessarily -- though they can. The differences I heard were likely due to the mastering for each format. Hounds of Love, American Gigolo, Regatta de Blanc, and You’re Gonna Get It! were respectively released in 1985, 1980, 1979, and 1978, when the LP still ruled. It’s widely accepted that some CDs released during digital’s infancy sounded inferior to their vinyl counterparts, which had a lot to do with the equipment of the day, as well as a lack of understanding of how to best use the new technology. As far as I know, my CDs of these four recordings are their very first CD editions, and thus quite old -- perhaps some have since been digitally remastered and sound better. But even though the differences may have been due mostly to the mastering, at least for these releases, I was still impressed with how clean, dynamic, detailed, and open the GSPre sounded through its phono stage, even with my modest analog rig, and even when I compared it to my high-flying digital separates. While in the case of Bruce Springsteen’s Tunnel of Love although I’d give the nod for better sound to the CD (Columbia CK 40999) over the LP (Columbia OC 40999), the vinyl acquitted itself well in terms of soundstage presentation and clarity through the midband. Springsteen’s voice also had a bit more richness on LP. Suffice it to say that if you have a turntable and a collection of LPs you like to play, the quality of the GSPre’s phono stage will more than likely satisfy. It definitely exceeded my expectations. Through the GSPre’s headphone output I listened to Macy Gray’s Stripped (24/192 AIFF, Chesky JD389), from my computer via my DACs. This album was made using a binaural recording technique, which makes it ideal for headphone listening -- the width and depth of the soundstage are reproduced more realistically than through speakers. The tonal balance of the GSPre’s headphone output was dead neutral, the level of detail was high, and the soundstage was rendered with high precision -- much as I’d heard it through the phono stage. I also listened to a number of non-binaural recordings through headphones. Their soundstages didn’t sound nearly as natural as on Stripped -- they were intended to be heard through two stereo speakers -- but each still exhibited great clarity and dynamics. However, with each of these recordings I was put off by some inherent noise from the GSPre -- with no music playing, I clearly heard a hiss, and still heard it in the quietest passages; it disappeared only when the level of the music rose high enough. This surprised me, because of how quiet the GSPre’s phono stage was; still, with each set of headphones I tried, the hiss was clearly there. So I was a little let down by the GSPre’s headphone jack compared to its phono stage. I’d rate the GSPre’s headphone amp as good, not great. 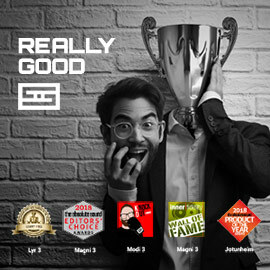 When I used the GSPre strictly as a line stage, with either of the DACs mentioned above, my opinion of it was higher than when I used the phono stage -- it sounded as neutral, dynamic, and detailed as Simaudio’s Moon Evolution 740P, an all-solid-state design renowned for a sound free of colorations. By only a little, the GSPre wasn’t quite as quiet as the 740P -- with no music playing, I could again hear some hiss from the GSPre through the speakers, though it wasn’t nearly as off-putting as what I’d heard through headphones. The ARC was also considerably quieter than any other tubed preamplifier I’ve heard, including JE Audio’s Reference 1 ($9000), which I reviewed in September 2015 and really liked the sound of. Impressed by the GSPre’s quietness for a tubed design, and wondering how much detail it might unveil, I turned to some very familiar music: the Cowboy Junkies’ The Trinity Session (16/44.1 FLAC, RCA 8568-2). Recorded by Peter J. Moore, and with no mixing stage (Moore told me that his mixer was the air in the church sanctuary in which he recorded this album), tracks 2-12 project a soundstage as wide and deep as I’ve heard from any folk-rock recording, with all kinds of spatial cues that help map the space and give clear indicators of where each singer or player sits or stands. The GSPre conveyed that space as well as any line stage or preamp I’ve reviewed, without hesitation re-creating it with all those cues intact. Then there’s this album’s extremely weighty bass, audible everywhere but especially in track 10, a cover of Lou Reed’s “Sweet Jane.” Through the GSPre I heard all the heft and weight I’ve come to expect from this track. This preamp is no slouch in the bass department. Track 1 of Trinity, “Mining for Gold,” was recorded a week after the other tracks, with only lead singer Margo Timmins. Miked much more closely, it sounds more intimate than the other tracks, with less of a sense of space overall -- it’s only her without the other members of the band. Still, this track was reproduced with the appropriate amount of space around her voice, which was holographically projected as a tangible place in space. The GSPre produced a sound that was neither more nor less detailed than that of the 740P -- strong praise, given my high opinion of the Simaudio’s resolving capabilities. I’m confident that the GSPre let me hear everything I fed it. I also found that the GSPre’s sound revealed no obvious evidence of the six tubes in its circuit. Other than the beautifully textured midrange often credited to tubed electronics, there was no gross embellishment of the midrange, and no reticence in the lows or highs. Margo Timmins’s voice in “Mining for Gold” sounded as natural as could be -- as did the late, great Leonard Cohen in “Slow,” from his Popular Problems (16/44.1 FLAC, Columbia), in which his voice is miked very closely, and so warmed up that it borders on sounding syrupy. The GSPre conveyed all of that without ever crossing the border into SyrupLand -- this preamp didn’t editorialize. That’s not to say that the GSPre’s sound was so devoid of coloration that it was entirely without personality. 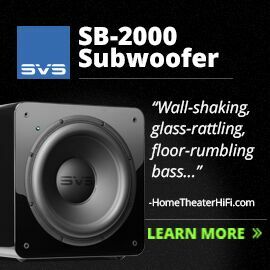 The only bit of character I could detect -- and only in direct comparisons with the Moon Evolution 740P -- was that it sounded a touch richer and fuller than the solid-state Simaudio. However, I wouldn’t necessarily chalk that up to the GSPre’s tubes. When I compared the 740P to the EMM Labs Pre2 ($15,000), another all-solid-state preamp, I heard the same thing: the 740P sounded just a touch thinner. I can’t be 100% sure of what, if anything, the GSPre’s tubes are doing to its sound; all I know is that they don’t color it in the ways that the tubed gear of yesteryear was long known for. Looking at Audio Research’s current product line, I believe that the GSPre’s main selling point is how well it combines numerous features into a single component. After all, if you want only a line stage, you’d probably be wise to look at the Reference 6, which costs $1000 less -- or the LS28, which at $7500 is only half the GSPre’s price. The GSPre is for someone who wants the whole package -- or at least most of it. Here’s what you need to know: The GSPre has a strong feature set and relevant controls. Its headphone jack is a nice convenience, but I wasn’t bowled over by its sound, which was noisier than I would’ve liked. The phono stage, on the other hand, was shockingly good -- it worked so well with my record player that if I were to keep the GSPre, I feel I could easily use it for the long term and be happy. I’d consider more only if I upgraded my turntable, tonearm, and cartridge -- and even then, I’d carefully check out the sound of my new analog front end with the GSPre before deciding to move on to a separate phono stage. As for the GSPre’s line-stage section, I have no caveats: neutrality, dynamics, detail, transparency -- it exhibited all in spades. Although I wouldn’t necessarily buy a GSPre to use only as a line stage, I wouldn’t try to discourage anyone else from doing so -- sonically, the GSPre held its own. All in all, Audio Research’s GSPre is a wonderfully styled, full-featured preamplifier whose beauty is more than skin deep. It’s a great choice for those who want everything it offers.